For the 7th year in a row, this is one of the first teas to reach our store from the new spring’s harvest . We are thrilled to have this tea and know that all of our customers who have been marking-off on their calendars until the day of its arrival will be excited to hear the news. We are happy to be able to hold the price the same as last year’s too. 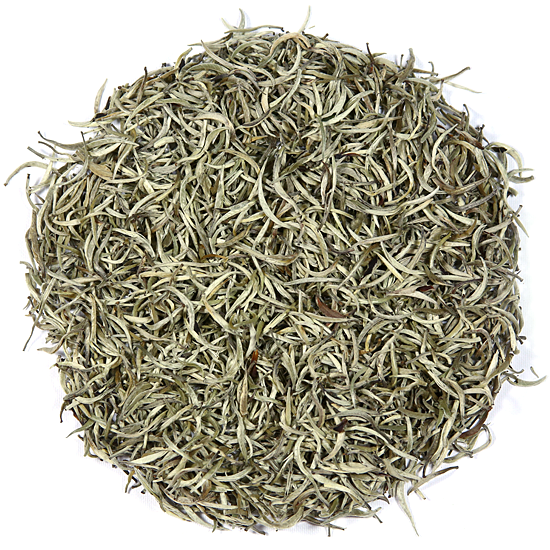 Yunnan Sweet White Threads earns its name with its small, thread-like buds. If you look closely at the Sweet White Threads you will notice that the shape of the exquisitely-formed tea buds have an undertone of soft, light grey coloring; the visual mark of light oxidation and a hallmark of Chinese white tea. This color gives the tea a very soft, ethereal appearance. This is a very fresh, aromatic tea. 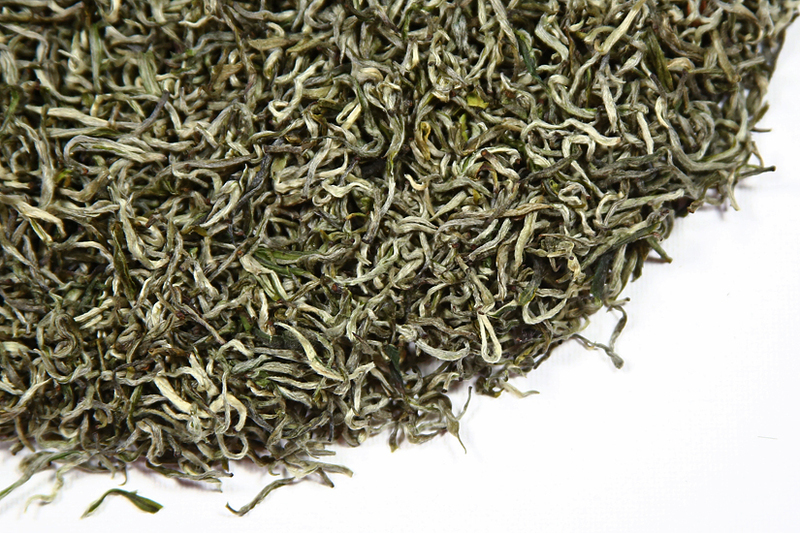 It was plucked around March 6th when the tea season was just beginning in Yunnan Province. Our Yunnan Sweet White Threads tea has a unique core flavor that is a result of the special nature of the tea bushes indigenous to southwestern Yunnan Province. The aroma and flavor of the tea liquor has an undercurrent of sugar cane, apple, and green grapes with fleeting hints of a light black tea: tell-tale signs that confirm its lightly-oxidized manufacture as a white tea. 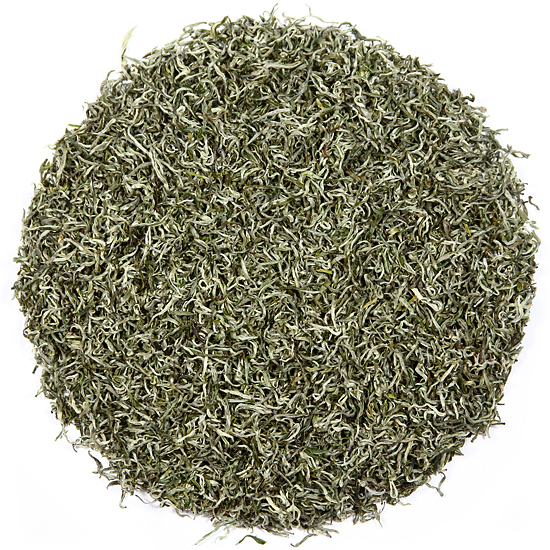 This early spring white tea is overall lighter in flavor than the historic white teas from Fujian Province in Eastern China. It is airy, sweet, and clean, and very fresh tasting. Upon steeping, this tea’s liquor is bright and clear in the cup and very focused. This tea is perfect for those who do not want a lingering aftertaste, but rather enjoy the fleeting moments of flavor that are revealed with each sip. After the 1st steeping, take a peek inside your gaiwan or teapot to admire the appearance of the re-hydrated buds. They will have returned to the natural appearance they had as just-plucked fresh leaf: thin and perfectly shaped. This tea is a wonderful example of the tea artist’s craft and the care given to premium, artisan tea during manufacture.